Real Madrid play hard-knock rivals Atletico Madrid on the back of an encouraging 3-0 win against Las Palmas at the Santiago Bernabéu on November 5. However, Zinedine Zidane’s men must improve should they want to win this typically tough away fixture at their neighbours' brand new home, the Wanda Metropolitano. Fittingly, Real Madrid and Atletico are tied with 23 points in La Liga table going into this match. Both teams are 8 points below first place Barcelona, with a mediocre run in their first 11 matches of the season. 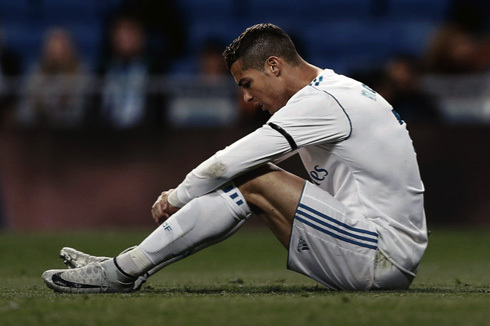 Cristiano Ronaldo's has been a frustrating figure and is representative of Madrid's woes. He has only scored 1 goal in his last 7 La Liga matches, but his hat-trick against Atletico was just several months ago, and we hope that he can bring his inspirational performance back on the pitch in this fixture. 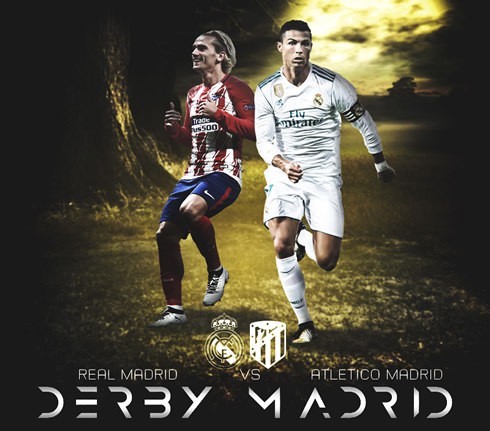 The combination of Benzema and Ronaldo has been deadly against Atletico last season and we expect Zidane to put his faith on them once again on November 18th, despite their current poor form in the league. It would also help to know that Benzema is absent from France's international duties and is expected to be well-rested before this match. Borja Mayoral is not expected to start the match and Isco - having scored a goal against Atletico in the Champions League last season - may be expected to start ahead of Gareth Bale. We're not sure how Zidane will arrive at the formation. 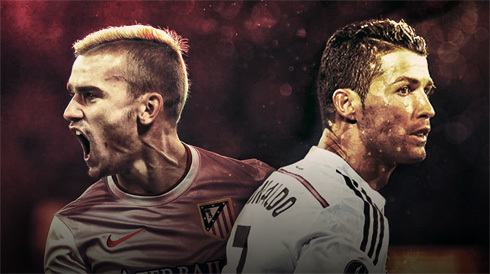 He has preferred a narrow 4-1-2-1-2 formation against Atletico in for the previous 2 El Derbi matches. But if this pattern repeats, Isco is certainly the favourite to play the number 10 role ahead of Bale. One of the most encouraging signs for Zidane and his squad is the fact that Real Madrid have performed noticeably better at away fixtures than they have at the Bernabéu this season. According to FootyStats, Real has picked up an average of 2.4 points per match at away matches, whereas Atletico picked up only 2 points per match. Atletico has been weak in front of goal. Diego Simeone's men can't seem to power through opponent's defence like they used to. Atletico scored a maximum of 1 goal a match in their last 4 matches, meaning they're usually scraping by with a marginal win or a frustrating draw. This is with an attacking lineup of Griezmann, Angel Correa, and Kevin Gameiro in the squad. We assume that Koke and Yannick Carrasco's injuries have limited the possible service to Atletico's strikers - especially in terms of wing play. But some journalists are optimistic that Griezmann will pick up his form for this high-stake match. On the other hand, Real Madrid have won most of their games with comfortable goal margins and only failed to score in 1 out of 8 league matches this season. Zidane and his defenders will be focused on keeping a clean sheet against Atletico, should they want to maximize their chance of getting a vital 3 points at the Wanda Metropolitano - Atletico's new home ground. The Merengues defences have been scrappy lately, with a clean sheets ratio of 1 in every 4 matches, but they do often deliver in big matches such as these. Cristiano Ronaldo next game for Real Madrid is on November 18 of 2017 against Atletico Madrid. You can watch Juventus live stream, Portugal vs USA, Leganés vs Barcelona, Manchester United vs Newcastle, Arsenal vs Tottenham, and Liverpool vs Southampton, all matches provided from our soccer and football game pages.